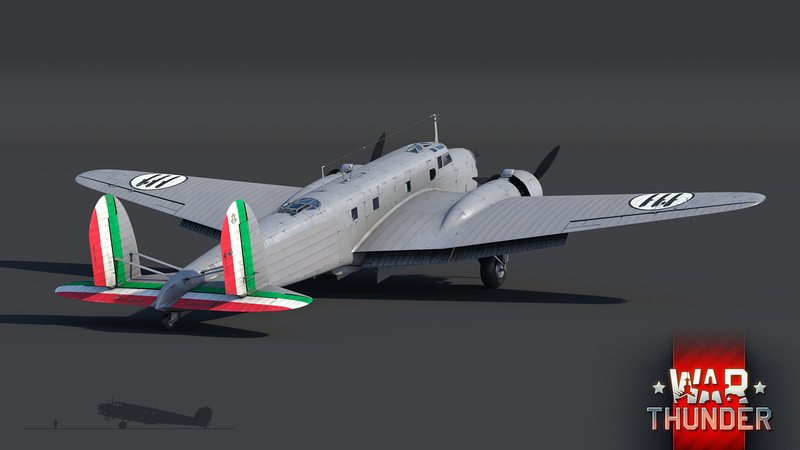 Today all War Thunder players received access to the 1st rank of aircraft in the new Italian research tree. Some players have already earned “12 Arrows” and received access to the whole Italian aircraft research tree! The Fiat BR.20 DR “Cicogna” (“Stork”) is a twin-engined medium bomber primarily in service with the Italian and Japanese air forces during WW2. And although the two operators had very different views on the aircraft, the BR.20 remained Italy’s primary bomber until the end of the war and was one of its most produced and widely used aircraft. From the hot sands of North Africa to the rice terraces of China, the BR.20 has seen it all and is now ready to join the virtual battlefields of War Thunder in update 1.69 “Regia Aeronautica”. The BR.20 DR Cicogna (“Stork”) is an Italian twin-engined medium bomber developed by Fiat. The Stork has a very rich history behind it, starting from its maiden flight in 1936 and ending with the conclusion of WW2 in 1945. The story of the BR.20 begins in 1934, when the Regia Aeronautica issued design specifications for a new bomber aircraft. Almost all Italian aircraft manufacturers submitted their concepts, with 3 being accepted by Regia Aeronautica. Among them was Fiat’s BR.20. Fiat designed and developed the new aircraft with haste, with the design being completed the following year, and the prototype being built and ready for testing in 1936. To the test pilot’s delight, the BR.20 showed favorable in-flight handling during testing. However, what was even more important, was the impressive bombing accuracy that the Stork demonstrated during testing. The Stork managed to drop bombs as accurately as 11m from the target from an altitude of 4,500 meters. This level of accuracy was achieved thanks to the excellent visibility that the bombardier had when aiming the horizontally loaded bombs, contrary to the standard practice of loading them vertically. The performance highly impressed the Regia Aeronautica, which led to them quickly placing an order for the first production models. After the first models reached their units in late summer of 1936, pilots and maintenance crews were quick to express their concerns about the shortcomings of the aircraft. The primary remark were the unreliable and difficult to maintain Fiat A. 80 R.C. 41 radial engines. Despite this, the aircraft had its baptism by fire during the Spanish Civil War, where it performed well thanks to its speed, durability and defensive capabilities. These qualities attracted much interest for the aircraft from other nations, in particular from Japan, who was looking into replacing their obsolete Mitsubishi Type 93 bomber with a much more modern solution. Highly impressed by the aircraft’s capabilities, Japan ordered 82 BR.20s for their own air force and redesignated the BR.20 to “I-Shiki Model 100” (nicknamed “Ruth” by allied forces). However, after their first combat missions on the Asian theatre in summer of 1938, Japanese BR.20 crews made several negative remarks about the aircraft, mainly concerning its engine reliability issues and firepower. This in turn lead to the bomber’s quick removal from frontline usage. After it’s final sortie with the Japanese air force in 1939, the BR.20 was then relegated to training duties and subsequently withdrawn from service by the end of 1941. Unlike the Japanese, the Italians used the BR.20 not only in much greater numbers, but also extensively throughout the War. For the duration of the conflict, the BR.20 was Italy’s primary bomber, which saw action in France, Malta and Northern Africa. In total, over 500 BR.20 Storks were built, spread over multiple variants, between 1936 and 1943, including the Japanese export models. In War Thunder, the BR.20 will offer pilots a solid bomber platform, able to do as much damage to the enemy, as the airframe itself is capable of absorbing. The two Fiat A.80 R.C. 41 engines deliver 986 HP each and are able to propel the Stork at a top speed of 430 km/h on an altitude of 4000m. Should the Stork be taken by surprise by enemy fighters, it is able to return fire from three defensive turrets scattered along the aircraft’s fuselage, which are capable of covering most angles of attack. The nose and ventral turrets are equipped with a single Breda-SAFAT 7.7 mm machine gun, whilst the dorsal turret features a dual mount with the same guns. The BR.20 Cicogna is able to carry a maximum payload of 1,600 kg and allows players to customize their loadout, in accordance to their needs, with a wide variety of bomb calibers, from 50 - 800 kg. 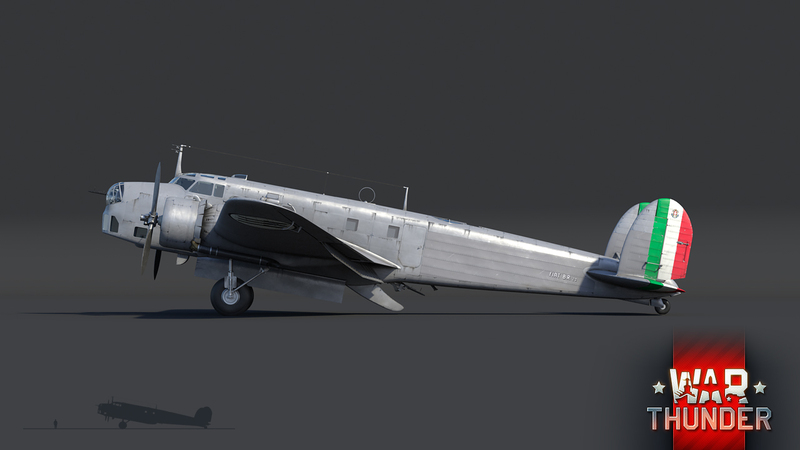 The version that has been added to the game in update 1.69 “Regia Aeronautica” is the first production version of the BR.20, featuring the Breda D.R. turret. The Stork will operate from the starting ranks of the Italian aviation tree and will form the backbone of Italy’s bomber line, just like the real Stork did! IMHO after flying and spading up all of the current Italian bombers, i personally think that this is the best one. Yeah. It seems superior to the S.M.79 family in almost every way. 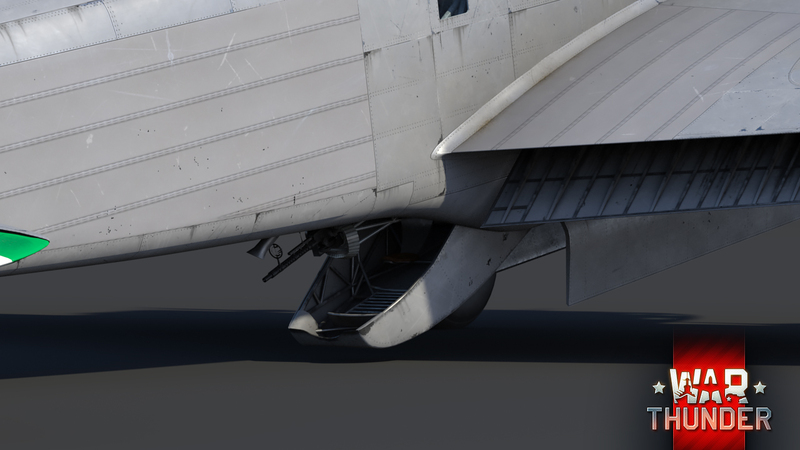 Someone told me that the SM should have the option to carry 12 100lb bombs though, which would make them a little bit better. Snebze, >SM 79s use kg >Google >Lb to kg >1lb = 0.45kg >Default load is 12x 50kg >Convert kg to lb >12x 110 lb bombs Do you even metic? One of my all time favorite bombers, so glad I got the CR.32, that bomber ALONE was worth i! It looks like a great new addition to the Italian tree! Can't wait to fly it. will the Japanese variant be introduced at some point? Stona_WT, Maybe it's just me, but I don't think you can open that door during flying. Look at the opening direction (hint: air flow and that speed) Maybe if it was opening in the opposite direction. I don't know if this door is like that from the real plane, but this one I bet you can't open it.